Networking - Clarence Chamber of Commerce, Inc.
Are you interested in building business relationships, generating quality business leads and sharing business advice? If so then the Chamber has a Networking Group for YOU! Choose from a variety of networking opportunities to suit your needs. Networking opportunities help you grow your client base and connect with like-minded business leaders. Make sure to check out our events calendar to take advantage of all your networking possibilities. Come, join us, for our Business Chat Speakers Series. Where we discuss relevant business topics to help any business. We meet once a month at 8:30am at the Clarence Public Library. Come early and network with other area businesses. This is no charge for this event. Bring business cards and flyers to pass around. Interested In Speaking: If you are interested in being a speaker or are looking for more information please contact the Chamber office at 716-631-3888 or info@clarencechamber.org. Our blenders take place at various Chamber Member Host locations from 5:30 to 7:00pm once a month. All chamber members and their guests are invited. There is no fee to attend this event for our membership, but an RSVP is greatly appreciated. Make sure to check out our events calendar for the 2016 Business Blender dates! Join us at anyone or all and bring along other interested business owners! Not sure where to start? The chamber staff can help you tailor a networking plan to fit your goals and resources. 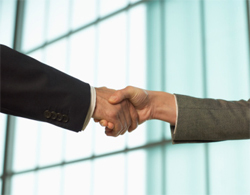 Let us provide those important introductions you need to grow your business.